Miller was found dead at his Los Angeles home on Sept. 7 from accidental drug overdose. He was 26. 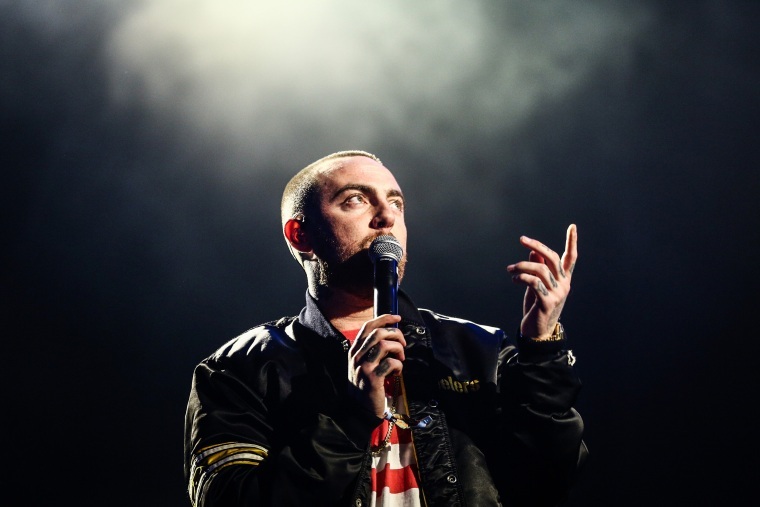 Late rapper Mac Miller received his first-ever Grammy nomination, exactly three months after he died at his Los Angeles home from an accidental overdose. The Recording Academy on Friday morning announced the 2019 nominations, and among the list for Best Rap Album was Miller's final studio work, “Swimming." He released the album on Aug. 3 and had been scheduled to go on tour in October. Chris Cornell also received a posthumous Grammy nomination for Best Rock Performance for "When Bad Does Good." The Soundgarden and Audioslave frontman, who has been previously nominated, died in May 2017 from suicide. The rapper, a native of Pittsburgh, Pennsylvania, was found dead at his home on Sept. 7. Officials later said he died from a mix of alcohol and drugs that included cocaine and fentanyl. He was 26. Miller was open about his drug use, telling Rolling Stone in an interview published in August that he wasn't an addict. “If a bunch of people think I am a huge drug addict, OK. Cool. What can I really do? Go talk to all those people and be like ‘Naw man, it’s really not that simple? '” he said. “Have I done drugs? Yeah. But am I a drug addict? No." Following news of Miller’s posthumous accomplishment, fans flooded Twitter with congratulatory posts. mac miller’s album, swimming, getting nominated for a grammy makes my heart extremely happy and warm.